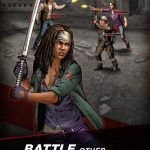 Android and iOS device owners alike have been abuzz over Scopely’s new game The Walking Dead: Road to Survival. The game does draw inspiration from the hit TV series and comic books, and in here, you’re in control of a team of survivors, as you protect Woodbury from zombies and keep your home base strong. 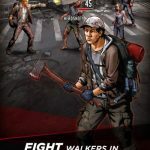 You can play as TWD’s most iconic characters, while joining factions and even fighting off other survivors, meaning those controlled by human players. This game has its own premium currency in the form of gold coins, and you probably are wondering how you can have more of these. Gold coins, after all, are what you will use to get rare, ultra-rare, and elite survivors, meaning those who are rated at three stars and above. You need not worry, though, as we have a list of The Walking Dead: Road to Survival cheats, tips and tricks that will help you get more gold coins without having to pay a cent. Scopely has apparently promised that you can complete free offers if you want to get gold coins without paying real money. 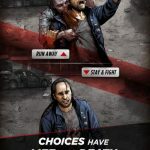 However, this option is not yet available – you probably have noticed that there are still no ad videos or special offers available in The Walking Dead: Road to Survival. However, Scopely is working hard on its first update for the game, and when it rolls out, chances are it will include the option to view ad videos or accept special offers. These options should be available in the game’s in-app store – where else can you expect to find them? Now, not all of the missions in this game will reward you with coins, but there are some that would. A look at your available missions will show you which ones will reward you with coins, and if you see a mission that does, go ahead and try to complete it. We’re not just referring to the main missions, as there are daily missions that you can accept upon reaching Level 6. Raid tournaments are, like roadmap levels, limited-time events. You can win some juicy rewards for taking part in these tournaments, and the rewards do sometimes include gold coins. Always ensure that your team members are leveled up and upgraded properly, because that’s going to give you a good edge when the tournaments kick off. Speaking of the roadmap levels, here they are – we have covered them in a separate article, but for purposes of this one, we should let you know that these battles can potentially earn you gold coins. Complete as many of these limited-time levels as possible, as you can get XP, rare characters or better, or other various rewards if you don’t win some coins. This is actually more like a warning than a tip, but we do advise you not to spend your gold coins on things you don’t really need at the end of the day, such as reviving your characters. Save up those coins for the tougher levels, and for buying rare characters and items. 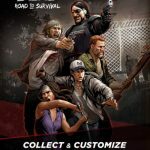 Missed our previous tips and tricks for The Walking Dead: Road to Survival? Feel free to check out our guides on how to level up your characters properly, how to find most ingredients and gear and how to unlock more rare characters. We also created a detailed article about general hints and tips for this exciting game.